Despite the steady growth in crude oil available for export, new pipeline projects in Canada continue to face delays related to environmental and regulatory impediments as well as political opposition. Canada's lack of adequate pipeline capacity has imposed a number of costly constraints on the nation’s energy sector including an overdependence on the US market and reliance on more costly modes of energy transportation. These and other factors have resulted in depressed prices for Canadian heavy crude (Western Canada Select) relative to US crude (West Texas Intermediate) and other international benchmarks. Between 2009 and 2012, the average price differential between Western Canada Select (WCS) and West Texas Intermediate (WTI) was about 13 percent of the WTI price. In 2018 (based on the first quarter data), the price differential surged to 42 percent of the WTI price. 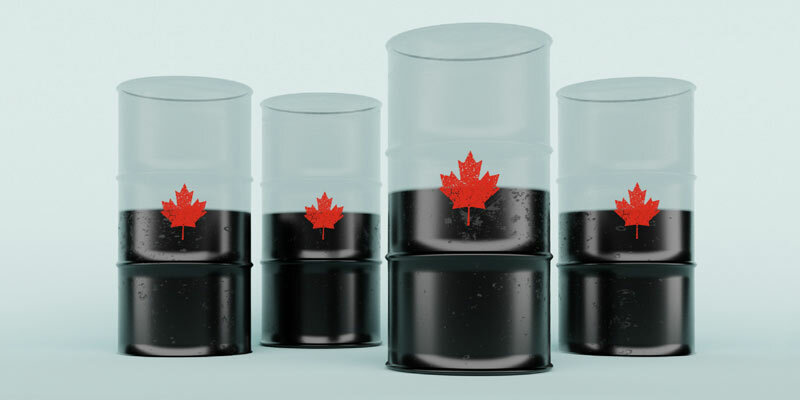 From 2013 to 2017, after accounting for quality differences and transportation costs, the depressed price for Canadian heavy crude oil has resulted in CA$20.7 billion in foregone revenues for the Canadian energy industry. This significant loss is equivalent to almost 1 percent of Canada’s national GDP. In 2018, the average price differential (based on the first quarter) was US$26.30 per barrel. If the price differential remains at the current level, we estimate that Canada’s pipeline constraints will reduce revenues for Canadian energy firms by roughly CA$15.8 billion in 2018, which is approximately 0.7 percent of Canada’s national GDP. Insufficient pipeline capacity has resulted in substantial lost revenue for the energy industry and thus imposed significant costs on the economy as a whole, and will continue to do so. This reaffirms Canada’s critical need for additional pipeline capacity.